Within a society in which rational analysis and technology have been greatly developed, but which has not known how to translate its material wealth into emotional and spiritual wellbeing, the resurgence of the feminine is ever more necessary, essential and unavoidable. 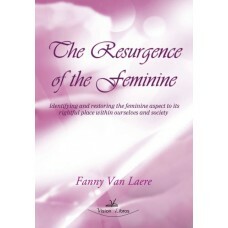 This book is a call and guide for healing and for developing consciousness, of both women and men. It offers tools to integrate feminine values, as well as to humanize our relationships with ourselves, the rest of society and with the environment. It is about waking up to your own true power and your true nature, beyond social and gender conditioning. It is an invitation to go within in order to be in contact with our Divine Human Potential, develop it and then express and externalize it, healing in this way our life and our relationship with Mother Earth. In this voyage of initiation, and as we overcome the repression of the feminine, we dare to explore our most human dimensions, as well as enter into contact with our most vulnerable sides, turning them into allies and true strength. The Resurgence of the Feminine contains an article by Leonard Orr, founder of Rebirthing Breathwork, and a prologue written by Vandana Shiva.